The AstaPdaServerSocket enforces security a number of ways. No Security To allow for remote PDA clients to connect to a server with no authentication or validation 1. Set the AllowAnonymousPDAs property to True. 2. Code the OnPdaValidateRegToken and set Var TokenValid Boolean to True. 3. Code the OnPdaValidatedPassword and set the Var PasswordValid Boolean to True. This sends a blob to an ASTA server and executes an update statement on the server. A more simpler approach would be to just create a TAstaClientDataSet and set the SQLOptions to soFetchBlobs and or soFetchMemos, set the EditMode property and just use normal VCL methods to populate the dataset. To send a string to the server as a blob see SendBlobAsStringToServer. Use the OrderBy property to append an Order By clause onto your SQL statement. 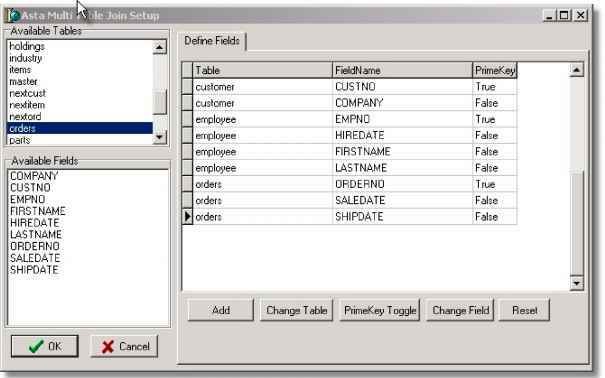 By keeping a separate order by clause you can easily change your SQL order by statement by changing this property, and then closing and opening the TAstaClientDataSet. By default, the OrderBy property is tagged with ASC for sort ascending, but if you have the Ascending property set to False, a DESC for descending will be applied. AstaClientDataSets maintain an internal FOldValuesDataSet which contains any deleted rows, newly inserted rows or the original values of any edited rows. 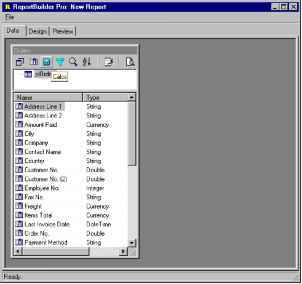 This OldValuesDataSet allows support of CancelUpdates, RevertRecord and UpdatesPending. Note FOldValuesDataSet is the internal property that OldValuesDataSet references and is kept public for backward compatibility with old code. The MetaDataRequest property allows you to specify whether you are running a normal SQL query or are requesting specific meta data. See the ISQLDemo tutorial for examples of using the MetaDataRequest property. Note MetaData result sets are not supported at design time. Only at runtime. Tip You can get a result set which contains AstaServersocket.UserList information by setting the MetaDataRequest to mdUserList. Call SetRangeStart to put the dataset into dsSetKey state, erase any previous start range values, and set them to NULL. Subsequent field assignments to FieldByName specify the actual set of starting values for a range. After assigning start-range values, call ApplyRange to activate the modified range. Call EditKey to put the client dataset in dsSetKey state while preserving the current contents of the current search key buffer. To determine current search keys, you can use the IndexFields property to iterate over the fields used by the current index. EditKey is especially useful when performing multiple searches where only one or two field values among many change between each search. This is a process where the field definitions are copied to another TAstaDataSet and then linked to each other. Any edits, deletes or inserts will affect all clone linked datasets. The KeepFilter argument decides whether the Filter property and the OnFilterRecord event are used by the clone. You can remove all clone links by calling RemoveCloneLinks or just a specific one by calling UnRegisterClone. See the CloneCursor Tutorial for an example of cloning. Call ApplyRange to cause a range established with SetRangeStart and SetRangeEnd, or EditRangeStart and EditRangeEnd, to take effect. When a range is in effect, only those records that fall within the range are available to the application for viewing and editing. After a call to ApplyRange, the cursor is left on the first record in the range.